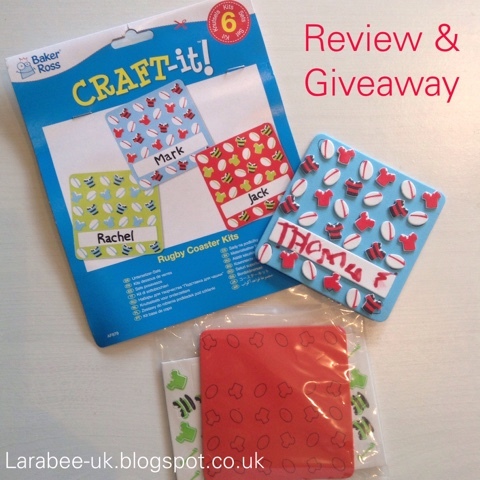 We are fortunate enough to be Baker Ross Bloggers and in our pack this time were these Rugby coaster kits, this was a super quick and easy activity for T to do, almost independently. Just in time for the rugby world cup! 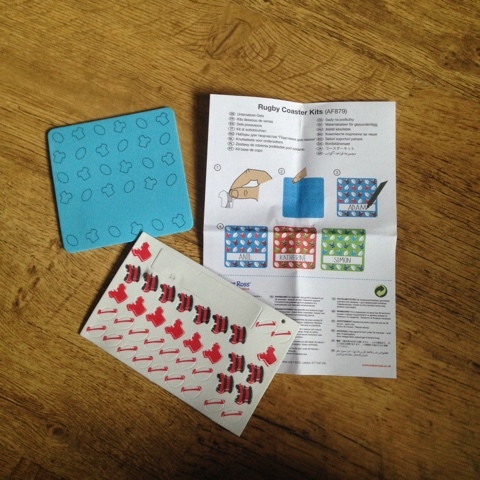 Each kit comes with clear instructions and everything you need to complete the project (except for a pen!) and are priced at £3.96 for the pack of 6, great for a party bag if you are having a world cup party! 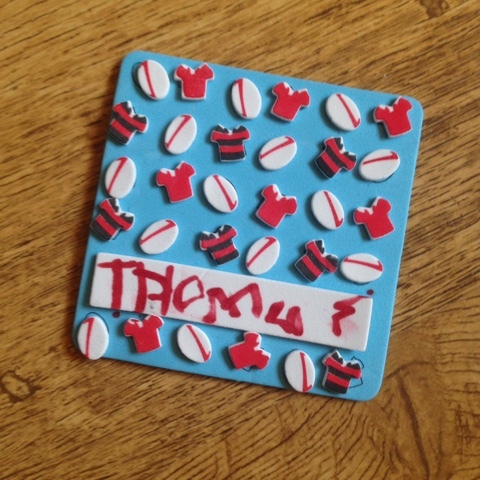 T was able to remove the durable foam stickers and stick them onto the coaster all by himself which kept him very happy! 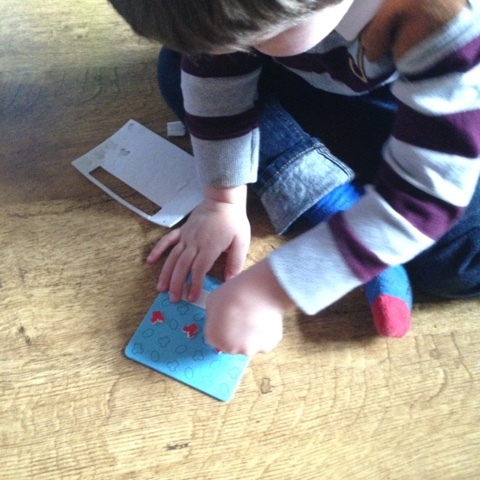 There are outlines on the coaster to show where to put the stickers which made this activity really simple for a 3 year old whilst allowing him to feel as though he didn't require any help. As you can see, T even wanted to write his name without copying, which does sometimes lead to some unusual character forms (especially if he's rushing!) but this was a great little craft which T enjoyed very much. We thought we'd giveaway the 5 remaining coaster kits from our pack and so we are running a small giveaway to our readers, this will run for one week from today, you are entering to win 1 individual coaster kit, not a pack of 6, I have 5 to giveaway. I will draw the winners on Thursday 24 September and will post on Friday 25 September. Not sure why our 5th winner isn't showing below but it was Emma Edwards from Adventures of Adam. Brilliant activity to tie in with the World Cup! England all the way...of course! Brilliant idea. I'd love one of these. Did it have any Welsh stickers in it? We will be supporting Scotland. Love these baker ross packs that I keep reading about. Stickers are always a hit with kids! loving the new look blog Leandra! And a lovely giveaway to host. I'm supporting all the home nations, but obviously that will be difficult if they come up against each other.